The Two Rivers Giving Circle is seeking additional members and contributors. 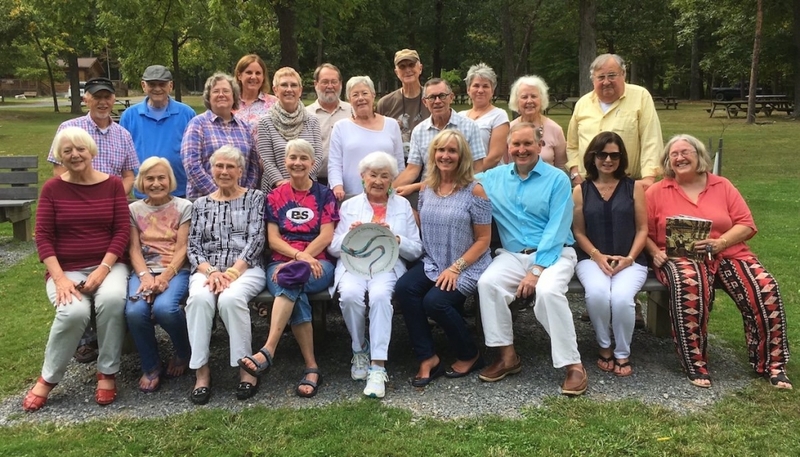 The Giving Circle, which is celebrating its 10th anniversary this year, is a donor-advised fund of the Eastern West Virginia Community Foundation. It was established in 2008 to help support the work of nonprofit organizations that are engaged in historic preservation and conservation of natural resources in West Virginia’s Eastern Panhandle. It was, and still is, one of the few local sources of grants for these purposes. To date, the Giving Circle has awarded 47 grants totaling more than $73,000. Its grants typically range from $500 to $2,500 in size. The Giving Circle’s grants are funded by contributions from the Circle’s members and others. Membership is open to anyone who cares deeply about historic preservation and natural resource conservation in Jefferson, Berkeley and Morgan counties. Each member must commit to contributing at least $500 annually. The Giving Circle also welcomes smaller contributions at any time from others in the community who share the Circle’s goals but do not wish to become members. Each year, all of the Giving Circle’s contributions are pooled, and grant proposals are solicited. Members play a hands-on role in the grantmaking process, reviewing all grant proposals and deciding which proposals will be funded. Grants are usually awarded during November. Non-member contributors do not share in the review and decision process. Both member and non-member contributions are fully tax-deductible. All contributors can be assured that their funds will be put to productive use because the Giving Circle has almost no overhead expenses: virtually all of its financial and administrative matters are handled by Community Foundation staff. To find out more about becoming a member or contributor, go to the Community Foundation website at http://www.ewvcf.org. Or contact the Foundation’s Executive Director, Michael Walton, at 304-264-0353 or mwhalton@ ewvcf.org. Checks should be made payable to EWVCF, with “Two Rivers Giving Circle Fund” in the memo line, and sent to EWVCF, 229 East Martin Street, Suite 4, Martinsburg, WV 25401. The Eastern West Virginia Community Foundation is a Martinsburg-based 501©(3) nonprofit organization that was established in 1995 to promote philanthropy in the region. Led by a local board of directors and a staff of four, it provides financial stewardship for more than 240 endowment funds and holds approximately $24 million in total assets.